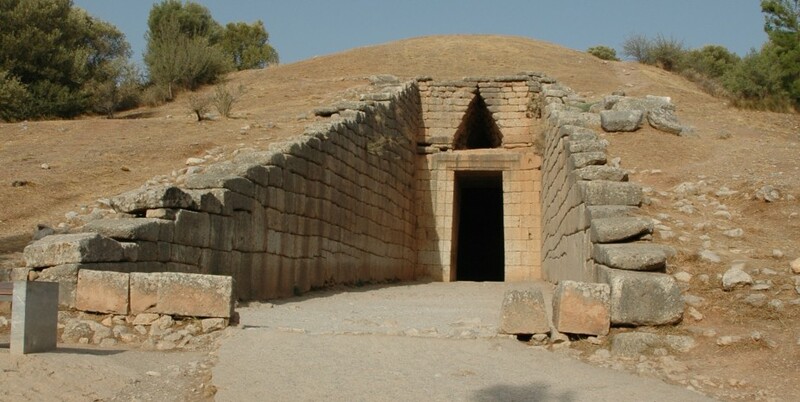 Mycenae ‘Rich in Gold’, the kingdom of mythical Agamemnon, first sung by Homer in his epics, is the most important and richest palatial centre of the Late Bronze Age in Greece. 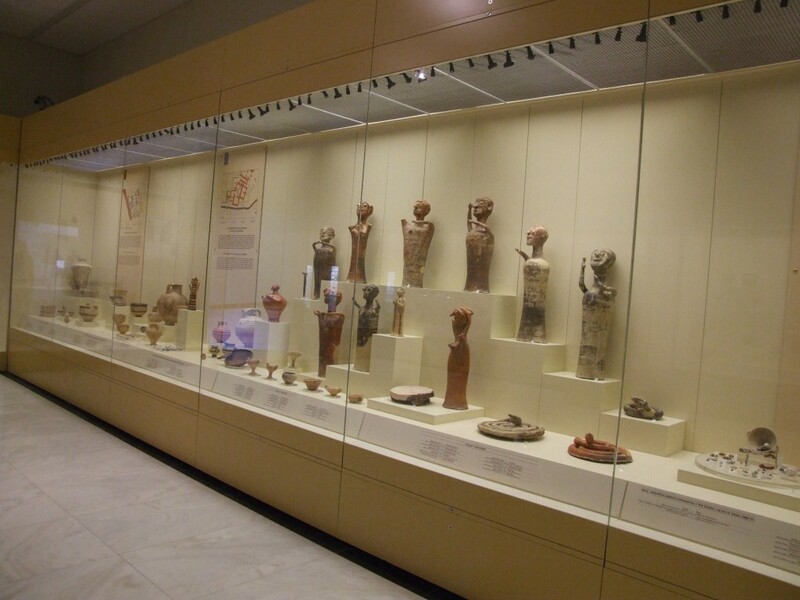 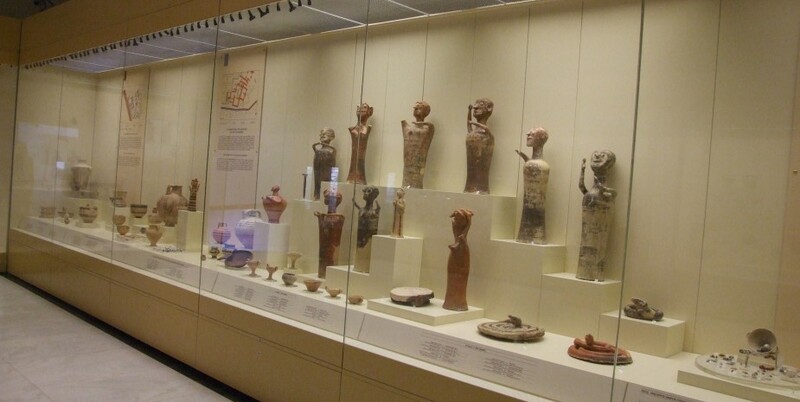 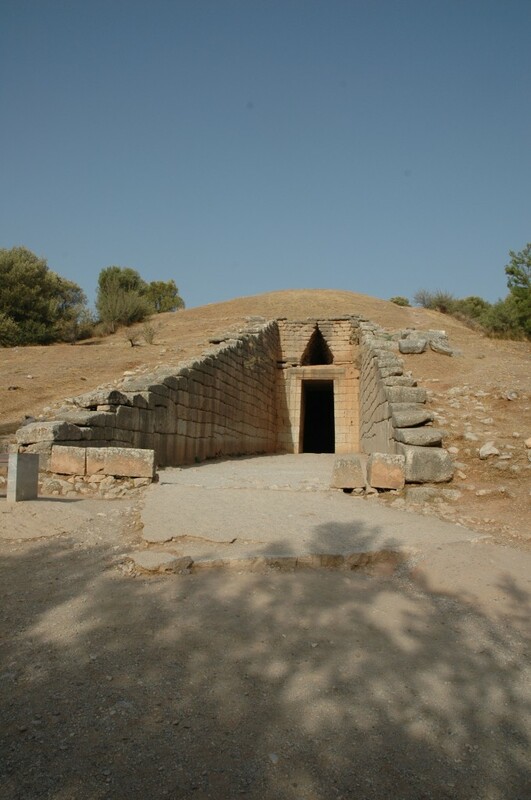 Its name was given to one of the greatest civilizations of Greek prehistory, the Mycenaean civilization, while the myths related to its history have inspired poets and writers over many centuries, from the Homeric epics and the great tragedies of the Classical period to contemporary literary and artistic creation. 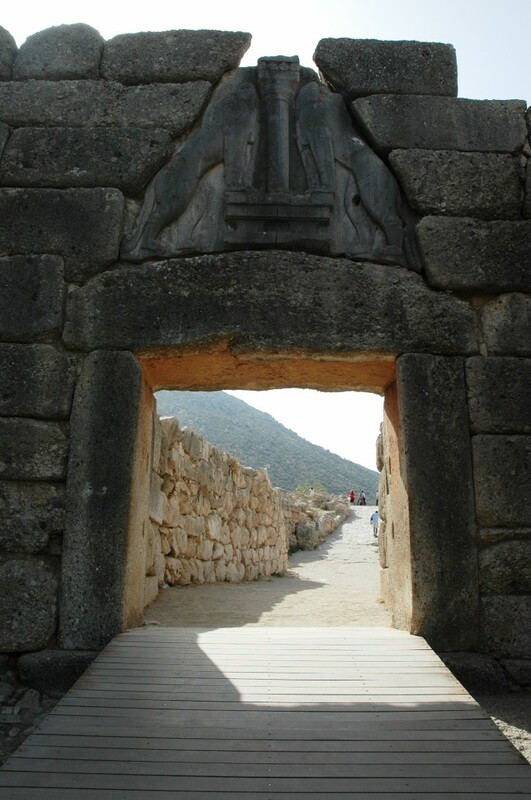 Perseus, son of Zeus and Dana?, daughter of Akrisios, king of Argos and descendant of Danaos, is traditionally considered as its mythical founder. 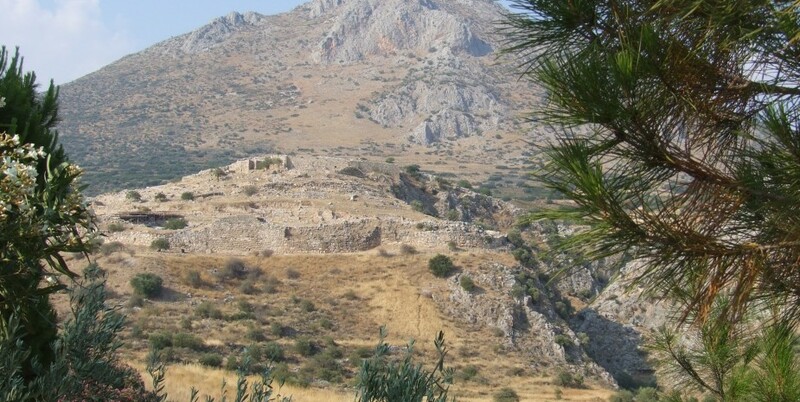 Pausanias (2, 16, 3) reports that Perseus named the new city Mycenae after the pommel (mykes) of his sword, which fell there, or after the Perseia spring, discovered there under the root of a mushroom (mykes). 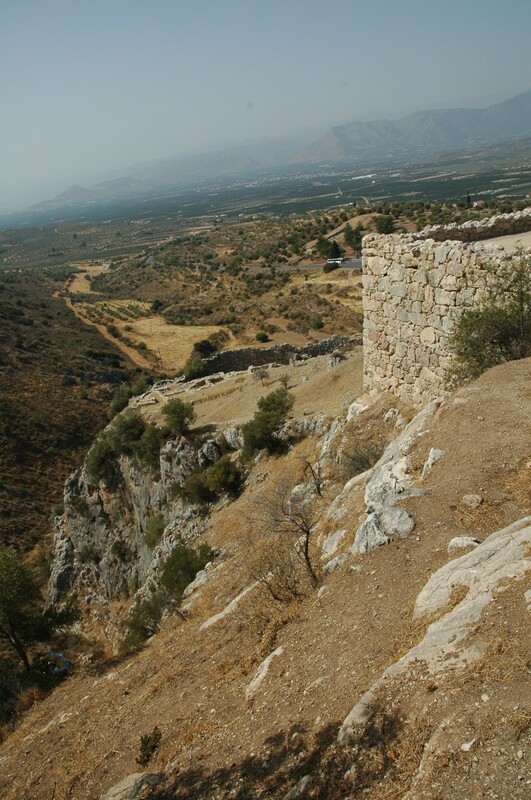 According to the myth, Perseus’s descendants reigned at Mycenae for three generations. 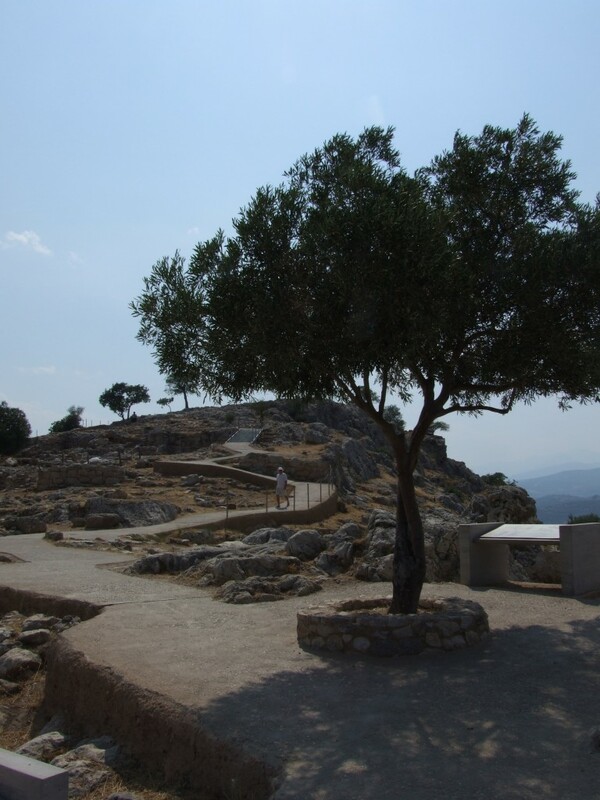 After the last of them, Eurystheas, died childless, the Mycenaeans chose Atreus, son of Pelops, father of Agamemnon and Menelaos, as their king. 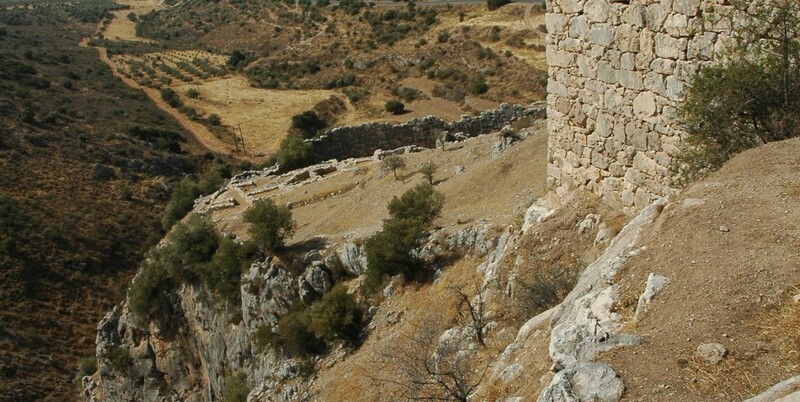 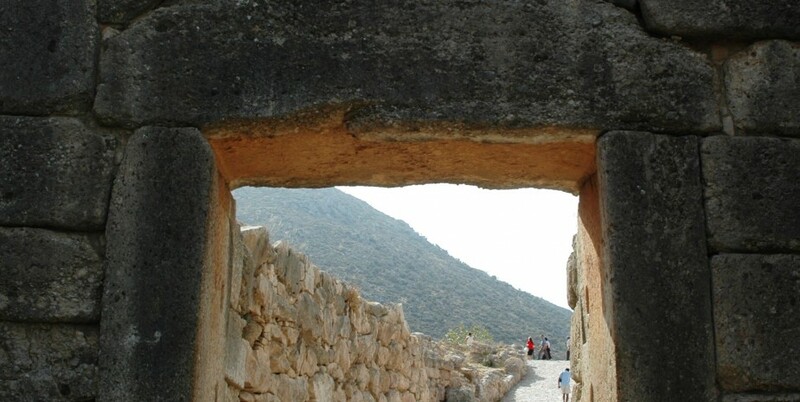 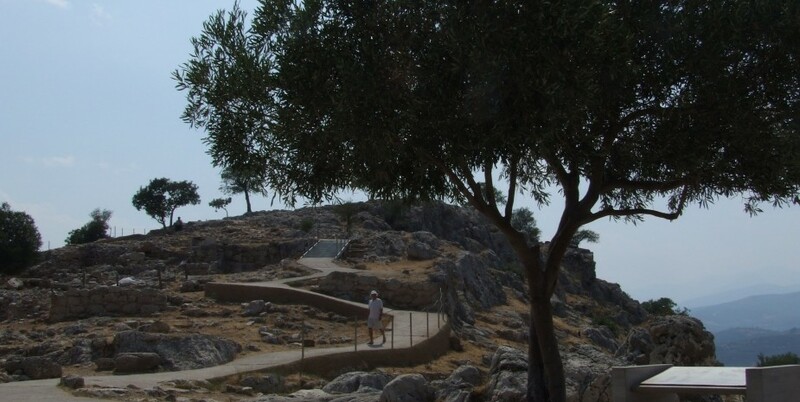 Mycenae is located about 90 kilometres southwest of Athens, in the north­eastern Peloponese. 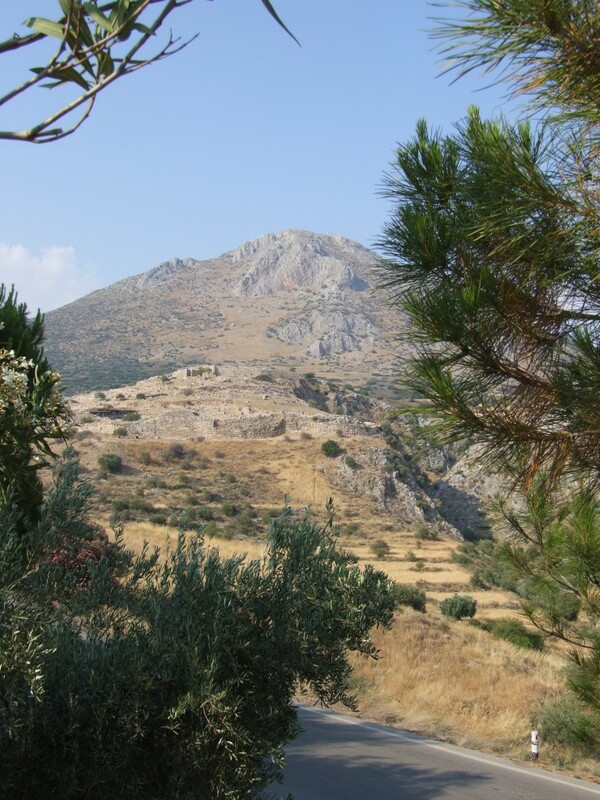 Argos 11 kilometres (7 miles) to the south, Corinth , 48 kilometres (30 miles) to the north.